As a transformational event, GC2018 presents a unique opportunity to demonstrate leadership in sustainability by delivering to international standards of best practice, leaving positive economic, environmental, social and community legacies that last beyond the Closing Ceremony. The Gold Coast is renowned for its natural beauty, and GC2018 provides the ideal setting to celebrate and connect with the city’s natural assets, as well as showcase our vibrant and diverse community. We’re proud that our sustainability efforts have been recognised by the wider community. For further details on our work to date, please reference our foundation planning documents and sustainability reports below. Embedding sustainability upfront in the procurement process is an important aspect of delivering a sustainable event.  To assist this process, we have developed a number of supporting documents. sets out minimum requirements that all suppliers must comply with when providing goods or services to GC2018. Provide general guidance on how suppliers can improve the sustainability performance of their supply chain. Providing sustainable food and beverage options and reducing food packaging waste. The size and scale of catering required across all venues for all customer groups poses logistical and sourcing challenges. GOLDOC aims to source produce by working with both large and small scale suppliers, with the aim of achieving the highest standards across the entire regional food industry. The GC2018 Food Experience, developed in conjunction with the City of Gold Coast and the local food industry, forms the basis for GOLDOC’s Catering Department to support and deliver the catering services across all GC2018 venues. Australia’s reputation for its clean, green, innovative food has won many admirers around the world. There is a large and varied array of healthy food and drinks on offer within Queensland and surrounding areas, which currently supplies much of the requirements of the local population. The opportunities to promote this produce are endless, from local seafood, pasture fed meats, local bush tucker foods and boutique beers and wines, to the diversity of fruits and vegetables.  GOLDOC in collaboration with the City, established the Catering Advisory Panel (CAP) to provide independent guidance, advice and support on the implementation of the GC2018 Food Experience. It explores all facets of food production from producers, suppliers, manufacturers, disposal facilities for packaging, food rescue and food waste. Quarterly Food Familiarisation tours around the Gold Coast and surrounding regions are held to meet industry locals, sample local products and disseminate GC2018 supplier requirements to producers. Demonstrating environmental stewardship and protecting health of oceans through reduced use of pollutants such as plastic bags and helium balloons. The impact of event pollution on the City’s waterways and ocean environment is a key concern for the local community. Mass released helium balloons, light-weight plastic bags and single-use plastic water bottles are regularly found in the ocean, washed up on beaches, in the waterways and have been found to contribute to the death of marine life and sea birds. They are a challenge to manage locally and throughout the world. Micro-plastic pollution is now working its way into the world’s food chains. In response to this issue, GC2018 will be a helium balloon free event and Games-time messaging will encourage spectators to bring their own transparent, water bottle, with drinking water available for refills. GC2018’s recycling and waste management systems and practices have been designed to maximise diversion from landfill within the constraints of the City’s existing recycling and waste management facilities. GOLDOC’s Materials and Packaging Policy will be a key contributor to the responsible management of GC2018 waste. GOLDOC’s approach to recycling and waste management for both GOLDOC’s Headquarters (GHQ) and the GC2018 event is based on the Waste and Recovery Hierarchy. find alternative to disposable and single-use materials. how resources can be repurposed and repaired. An industry-leading 12 colour-coded recycling streams are available for office staff to recycle and maximise diversion from landfill at GOLDOC’s Headquarters. Information about recycling features in induction training and signage is consistent to Games-time signage. This commitment to recycling and reinvention was rewarded with GOLDOC achieving the city’s first 4 Star Green Star – Interiors PILOT rating for its Ashmore headquarters. To help make the Games a gold medal success, GOLDOC needed a facility which would grow as its workforce grew – from 50 in 2014 to more than 1,000 employees by the 4 April 2018 Opening Ceremony. Extensive use of local experts for the construction and materials. A workplace travel plan that incentivises active, public and shared transport. accessible sinks in kitchens and hearing loop systems in major meeting rooms. way to the Commonwealth Games Village. Incorporation of Reconciliation Action Plan (RAP) elements into the building. Climate change is an important issue for Commonwealth nations, and the Oceania region. Responsibly managing the direct and indirect carbon emissions attributable to GC2018 is essential to delivering a sustainable event. The new Anna Meares Velodrome provides a centre of excellence for track Cycling in Queensland. As Queensland’s first indoor Velodrome, this world class facility will attract elite training squads and competition events further developing Cycling in Queensland. Featuring an international competition standard 250 metre timber cycling track, the new $59 million Anna Meares Velodrome is a GC2018 legacy project, jointly funded by the Queensland Government and Australian Government. It will host the GC2018 Track Cycling events, including four para-sport events – men’s and women’s blind and visually impaired sprints and the 1000m time trials. The Velodrome’s in-field area also includes mixed-use sports courts providing for a range of additional sport and recreation uses. GOLDOC also contributed to a longer term legacy solution for the venue by upgrading the lighting specifications from a metal halide solution to an LED solution. This will provide a lighting level to meet the needs of GC2018 and will cut energy consumption by up to 60%, reducing running costs and carbon emissions. The permanent, international broadcast standard LED lighting, reduces the requirement for additional sports and broadcast lighting for future international competitions at the Velodrome. GC2018 is a catalyst to bring forward transport infrastructure improvements for the long-term benefit of the community. Public and active transport are the primary modes of transport to GC2018 events and will include accessible transport options to cater for varying transport needs. A successful transport operation is critical to the success of any major sporting event. There will be significant demand on the transport system. The GC2018 transport task is broad, ranging from public transport for spectators and workforce, ensuring that Gold Coast businesses can continue to operate as usual during GC2018 and the development of a priority transport network for the Games Family (athletes and team officials, Games officials, accredited media and technical officials). For more information on our transport plans, visit the transport page. To ease the pressure on the transport system, the Travel Demand Management (TDM) program will influence travel behaviours in the lead up to and during GC2018. This focusses safety and efficiency, accessible transport connections and permanent adoption of active and public transport usage. Public transport, telecommuting, active travel and travelling outside of peaks to reduce pressure on the transport system during GC2018 will be encouraged. These changes could contribute ongoing benefits such as reduced congestion, better health and cleaner air for the region. The Gold Coast light rail currently operates between the Gold Coast University Hospital station in Southport and Broadbeach South station in Broadbeach. The network is 13 kilometres long with 16 stations. On 6 August 2015, the Queensland Government announced it was progressing with plans for the second stage of the Gold Coast Light Rail (Stage 2). The 7.3 kilometre Stage 2 light rail extension runs from Gold Coast University Hospital station to Helensvale heavy rail station and bus interchange, and will be operational prior to GC2018. This will improve public transport travel between Brisbane and the Gold Coast and play a critical role in transporting spectators and workforce to GC2018 competition venues. The preferred alignment provides a cost-effective solution by efficiently using existing road and rail corridors, therefore reducing impacts on the community and the environment. Construction commenced in July 2016 with the project due for completion in early 2018 ahead of GC2018. The Gold Coast light rail can carry 300 passengers per tram, and has a regular service frequency of 7.5 minutes. • Continue to cater for community, commuter and visitor travel. • Provide direct access to arts and cultural activities at Broadbeach and Surfers Paradise. • Provide spectator and workforce transport to transport hubs. • Support spectator and workforce transport to Southport, Broadbeach and Labrador competition venues. Welcoming participation by people of every gender, race, socio-economic status, orientation or ability. • There will be an equal number of medal events for men and women, a first in the history of a major multi-sport Games.  • The GC2018 Reconciliation Action Plan will deliver legacy outcomes for Aboriginal and Torres Strait Islander people and is the first of its kind for a major Australian event and for a Commonwealth Games. • Family-friendly ticket prices along with some free sporting events and the Festival 2018 arts and culture program, will ensure there is something to enjoy for all members of the community. GOLDOC took part in the Pride in Sport Index (PSI), an Australian-first benchmarking program, designed to measure the inclusion of lesbian, gay, bisexual, transgender, intersex (LGBTI) people within Australian sport. An initiative of the Australian Human Rights Commission and the Australian Sports Commission which assists Australian sporting organisations determine what constitutes good practice and benchmark their own initiatives against an external measure and other sporting bodies. Being part of the Pride in Sport Index supports our zero tolerance approach to homophobia, bullying and harassment and sends a clear message about our expectations around appropriate behaviour. Promoting authenticity in GC2018 activities is paramount. Consultation with the Yugambeh Elders Advisory Group (YEAG) and Indigenous Working Group (IWG) has leveraged mutually beneficial relationships between GC2018 partners and community, informing a greater respect for and acknowledgment of the commitment and contribution of both groups. Free public transport (including accessible transport options) will be available for ticketed spectators travelling to and from competition events on the Gold Coast and in Brisbane on the South East Queensland TransLink public transport network. An accessible public transport network will deliver spectators with an accessibility requirement and their companions to the venues. Details of the specific accessible transport methods and routes will be detailed in the lead up to GC2018. This will be available through the GC2018 journey planner, spectator event guides, online travel information and customer contact centres. Further enquiries can also be made by calling the GC2018 Ticketing Customer Service Centre on 1300 21 2018 or by email at tickets@gc2018.com . If you require this information in an alternative format, please contact the GC2018 Ticketing Customer Service Centre dedicated Accessibility line on 1300 21 2018 and select option 1, then option 2 or via email to tickets@gc2018.com . Considering community’s needs and expectations as well as legacy outcomes are at the forefront of GC2018 planning.  Working closely with our Games Delivery Partners (City of Gold Coast, Queensland Government) we’re committed to promoting healthy and active living, raising awareness, sharing knowledge and building capacity within the community to support long term benefits of hosting the Commonwealth Games on the Gold Coast. It is also important that the community and all stakeholders understand how the event has been used to create positive legacies that will last well beyond the event itself. Identifying opportunities for longer term legacy benefits is at the forefront of GOLDOC’s planning and some of these opportunities will be realised in advance of the event. The Embracing 2018 program is led by the Queensland Government in conjunction with the City of Gold Coast, and aims to maximise the opportunities presented by GC2018 to ensure lasting benefits for Queensland, the City of Gold Coast and for the benefit of the broader Australian population.